The French Quarter was so charming and colorful. I was delighted by little details everywhere. Obsessed with doors and windows. Specially the slanted ones. Beautiful vibrant colors. Transported us to another time and place. Doors in all shapes and sizes. Secret coffee spots and garden restaurants. It was a bit chilly in December to enjoy the outdoors, but I can imagined the crowd on warmer days. Music everywhere. Randomly at street corners, marching bands. And a nice Sunday Jazz Brunch at Muriel’s. 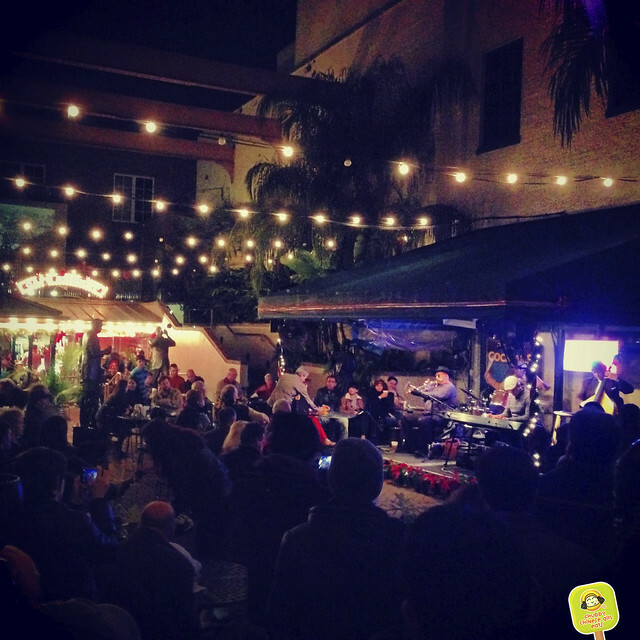 Frenchmen Street lights up at night. During the day, it’s a fun graffiti filled stroll. I just loved the typography at this sweet Praline shop. Mmmmmm, buttery praline and bacon pecan brittle. Mardi Gras World was a fun touristy attraction. I had a good time watching the artists at work. Streetcars were easy to navigate, a one day Jazz Pass was just $3. Horse carriage was another option, but I preferred walking. The World War II Museum was very informative and interesting. The dress up photo-opp is not to be missed – We Can Do It. On our way to Elizabeth’s for their life changing Praline Bacon. Most people arrived in cars or cabs, we took our time to walk around and take in the random sights. On the return trip, I had great Bloody Mary to go. Drinking on the streets, what a novel idea for this New Yorker. SoBou had the best decor. I would hate to be the cleaning lady there. The hundreds of glass bottles surrounding the restaurant was so modern and slick. Cafe Beignet was such great stop day and night. Free jazz in the patio all day long. At night, Bourbon Street came to life. The energy was completely different from before sunset. You never know who you will encounter. Like a guy playing music on glowing glasses. A Hurricane from Pat O’Briens while waiting on line to get into Preservation Hall. Preservation Hall is such an institution. So much jazz and history. I’m no expert, but we had an amazing time. Cafe du Monde is open 24hrs! Perfect late night snack and no line by then. Had a really great time in Nola. Will be back for more yummy eats, charming sights and friendly people. 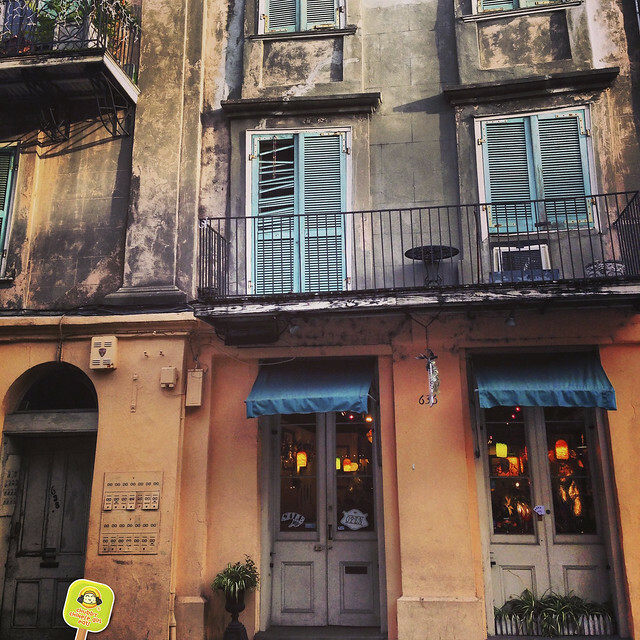 Check out my Best Eats Nola list.